Craving a savory snack? Try these delicious zucchini chips! Preheat oven to 450. Mix breadcrumbs, parmesan cheese, salt, pepper, garlic powder, basil and red pepper flakes. In a small bowl, whisk eggs together. 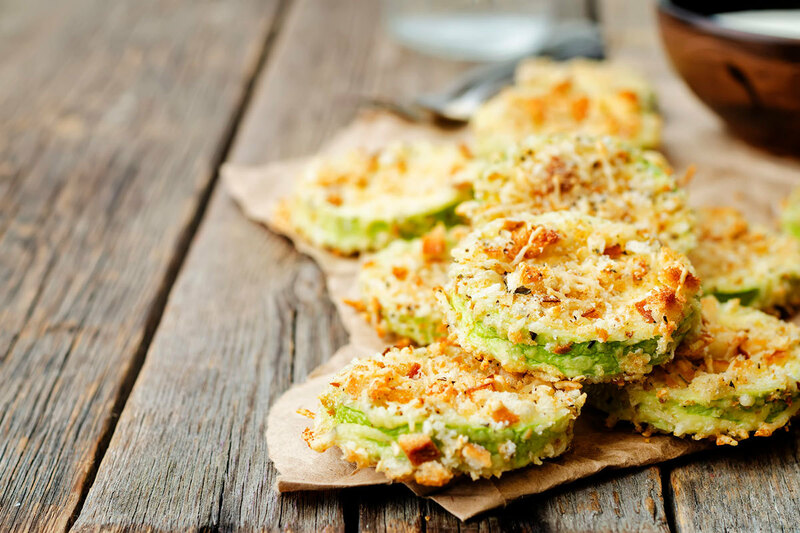 Dip zucchini slices in egg, then coat in breadcrumb mixture. Place on a baking sheet. Mix sauce ingredients together. Enjoy! Did you know that you can make pasta at home with only 4 ingredients? Impress your loved ones with handmade pasta. Going Paleo doesn’t mean you can’t party. Feed a crowd with this creamy and satisfying artichoke dip. Fresh, crunchy veggies and pre-made dressing make this autumn salad a snap to put together.